Hull weight (approx.) 400 lbs. 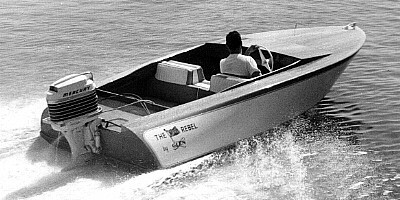 Power: Short shaft outboard motor to 80 hp. Long shaft motor can be used if transom modified. Trailer: Designed for use with Glen-L Series 1000 boat trailer plans.